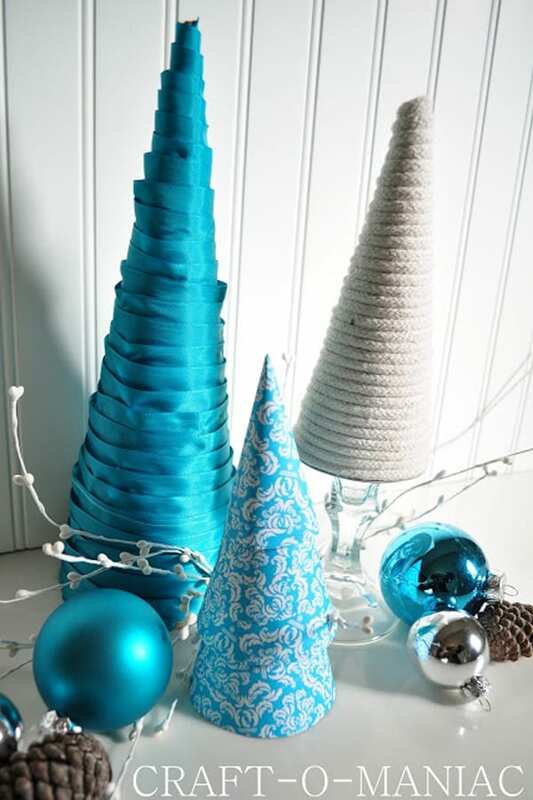 Make these simple DIY mini Christmas trees perfect to include every year with your Christmas decorations. 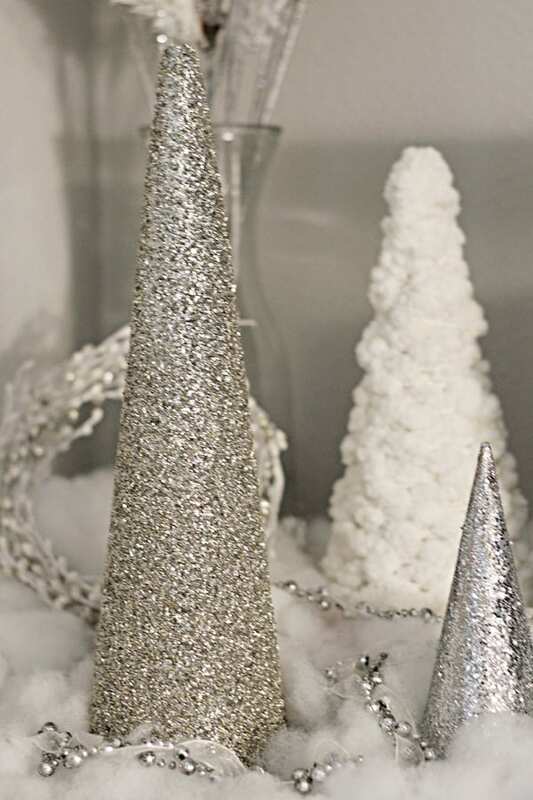 Along with everything else in life, you can go so many different directions when it comes to Christmas decor. Traditional, rustic, farmhouse, eclectic—the list goes on. When we moved into our home a few years ago I was faced with the daunting and exciting task of deciding what route we were going to go with this huge home we now needed to fill. We had always lived in small apartments saving every penny we could so we were pretty much starting from scratch when it came to decorations. After some brainstorming, we decided we would go the more traditional route with lots of red and I loved the idea of decorating with mini Christmas trees. Through the years the collection has grown and each year I try to make a few more mini Christmas trees to add to the collection. 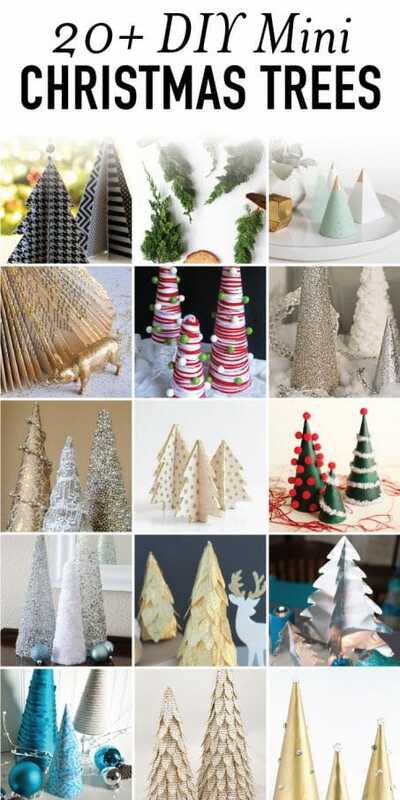 That’s why this year I thought I’d share with you some of the many creative mini Christmas tree decor ideas I’ve looked at for inspiration. 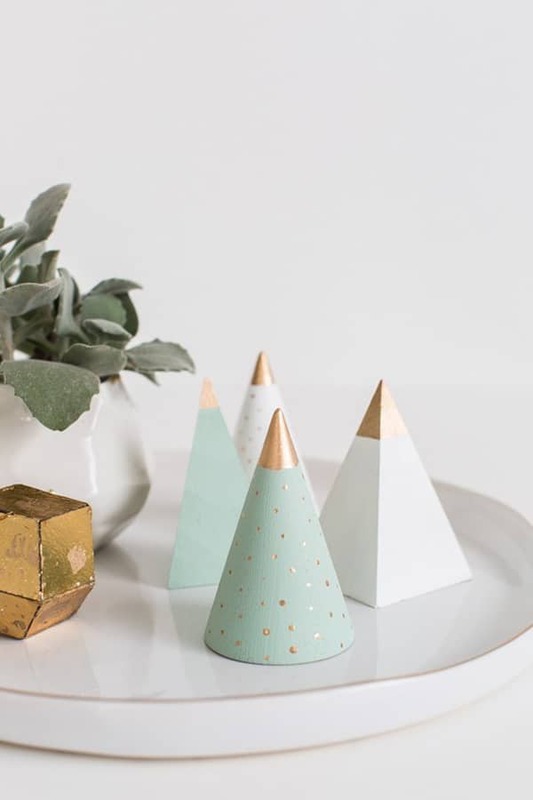 So with that, here’s 20+ DIY mini Christmas tree decor ideas to get the creative juices flowing. The possibilities are really endless but these ideas are just too great I had to share. Please pin from the original source if you love these trees too. 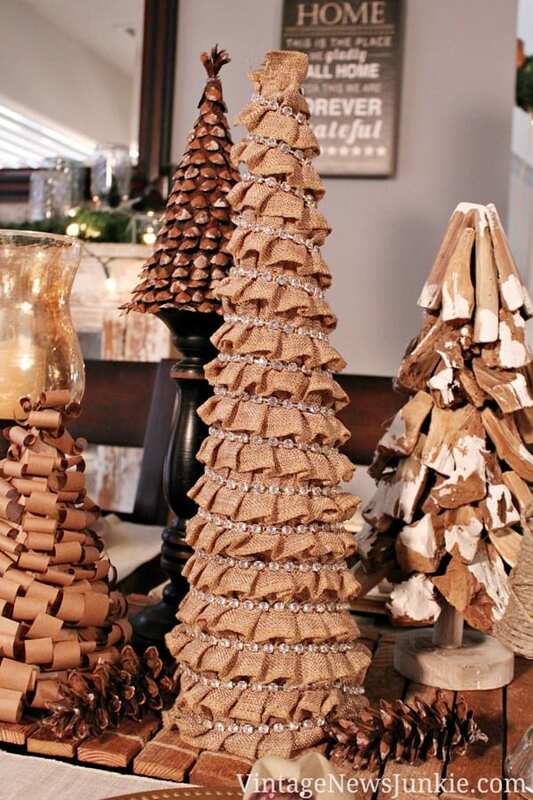 I’m a little biased about this one but don’t these burlap trees look so fun?? 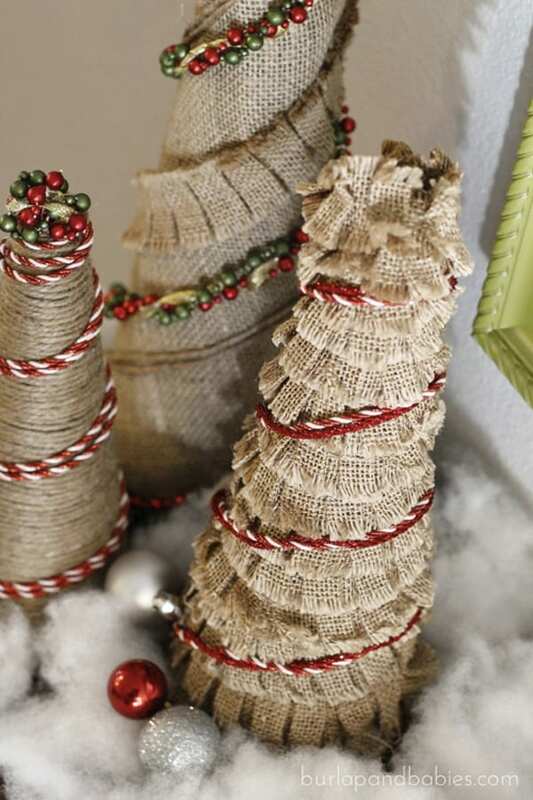 These are definitely one of my favorite Christmas decorations and really fit the space when I went through my burlap obsession. Find the easy tutorial here on how to make your own. 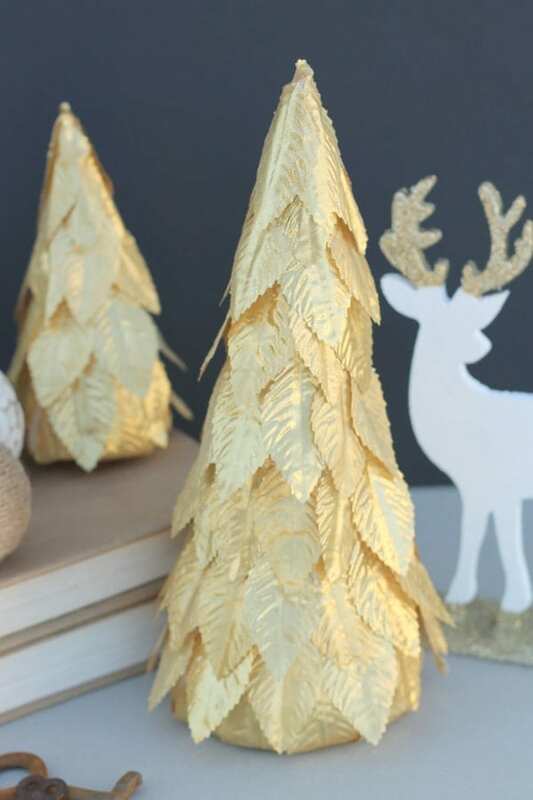 These light up trees are so simple to make and add a little shimmer to those cozy Christmas evenings by the fire! Are your in-laws on the way over right now and you are in desperate in need of decorations? Well…this is the tree for you! 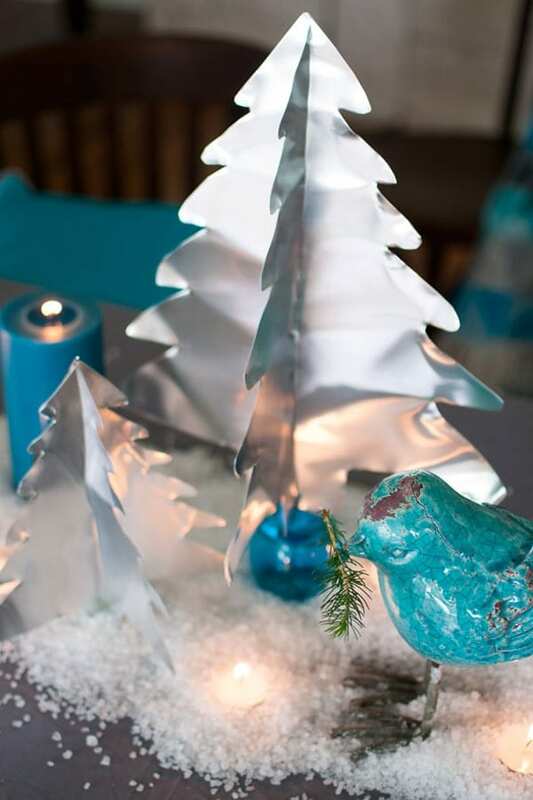 A pair of scissors and some aluminum foil are all you need to make these classy little trees. Wanting a similar look but maybe looking to just buy some instead? I am seriously IN LOVE with these mercury glass lit trees. This one might very well be my favorite! 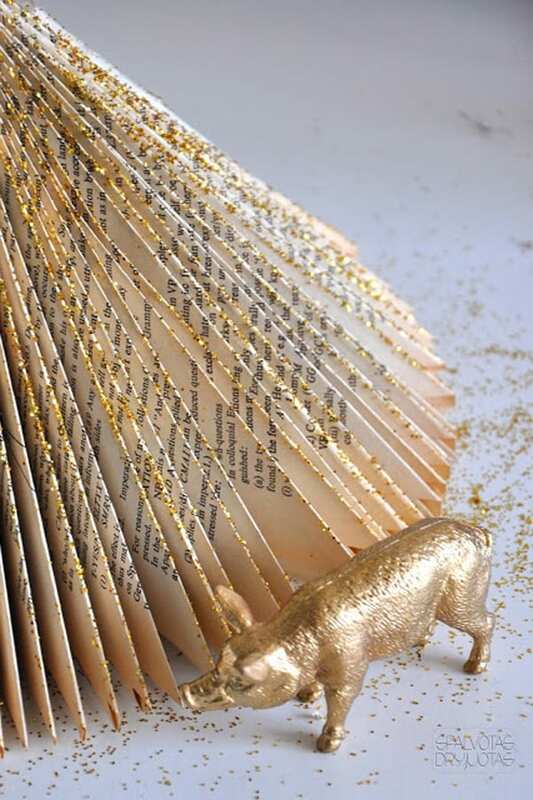 Love the gold glitter!! Gotta love the shine on these ones! I’m sure my little girl would tuck one of these trees under each arm and carry them around with her everywhere she went! These are so fun!! Gotta love putting the leaves back on the trees! Balsa wood is so easy to work with and soft you can cut it with a knife. Besides, everything is cuter when it’s in mini size! Not ready to make them yourself? 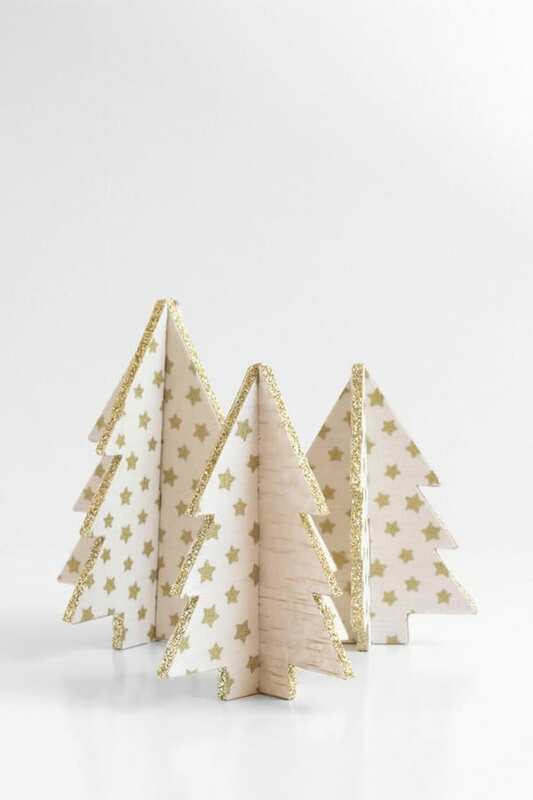 These laser cut mini trees would be a perfect alternative! 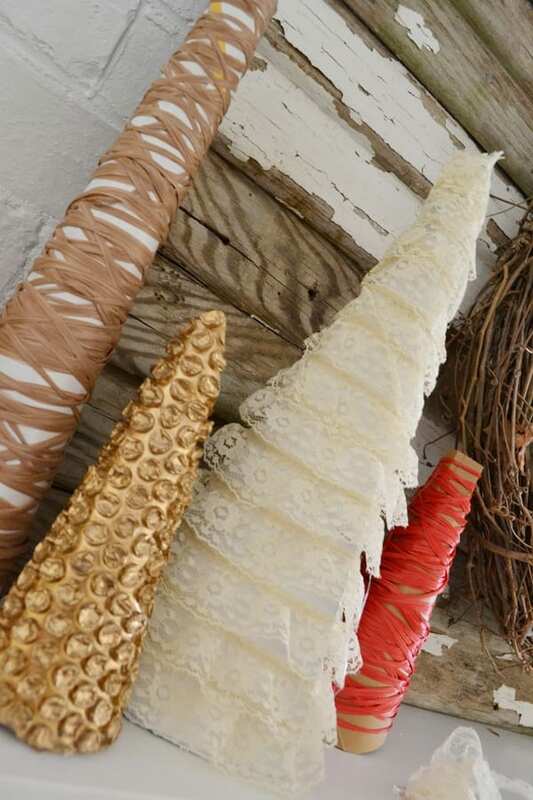 These wooden trees from Sugar & Cloth are the perfect modern touch to your Christmas decor! 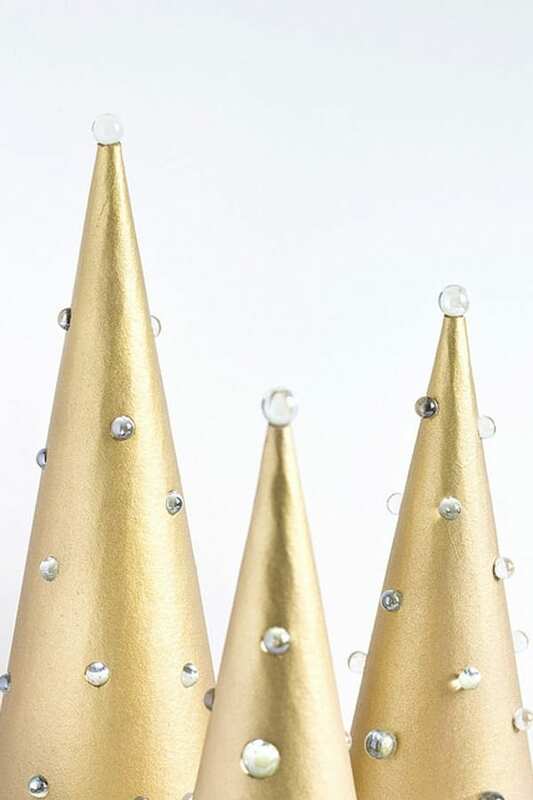 Paper cones, mod podge, and glitter are all you need to make these bad boys! These yarn and pom pom trees would make the perfect Christmas craft to do with your littles! Am I the only one getting a Dr. Seuss vibe from these yarn wrapped trees? Too fun! 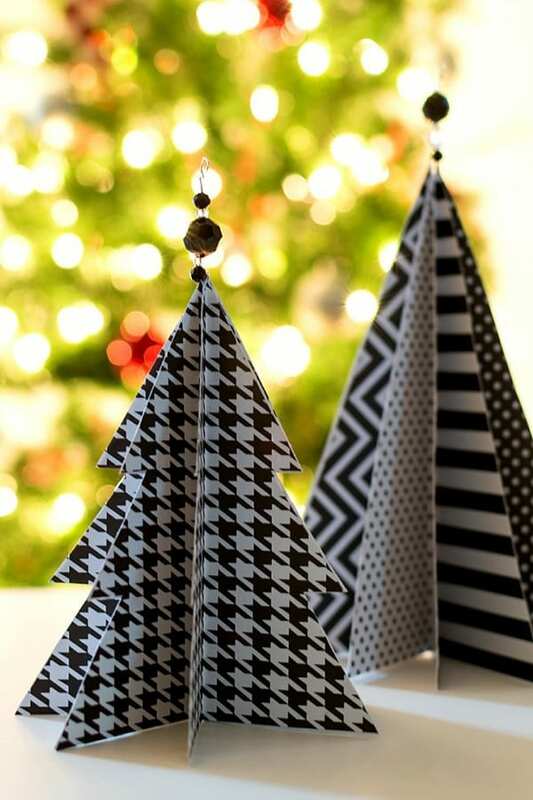 Strong contrast and bold prints come together to make these awesome cut paper trees! 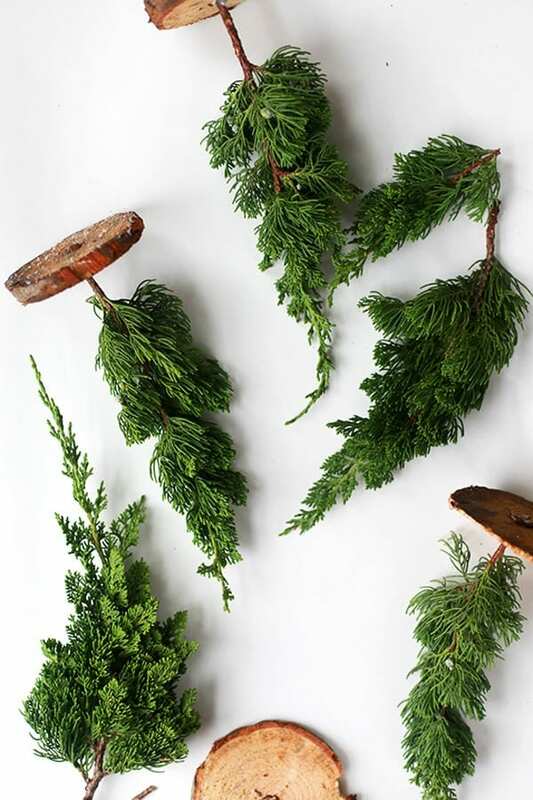 These rustic trees are perfect for bringing an earthy feel to your Christmas decorations! 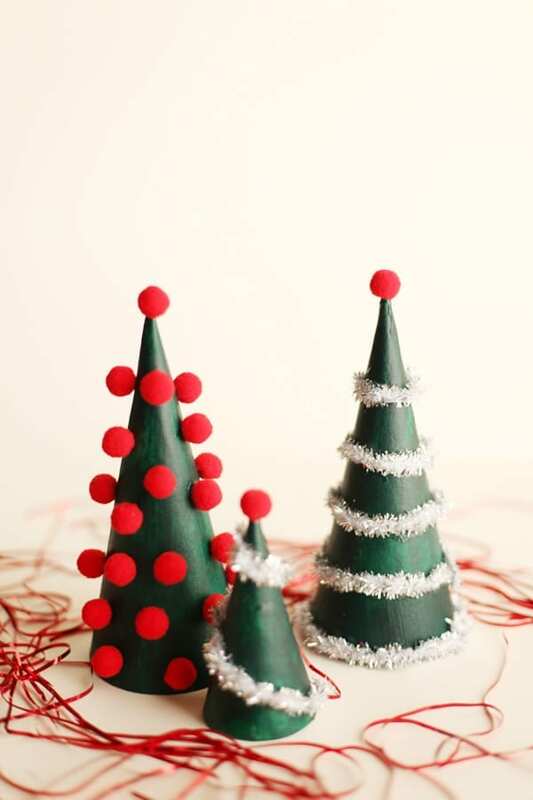 These wood round and branch trees make the perfect miniature Christmas trees for whatever festivities you might have planned! Can’t find the perfect tree branches? No problem! Grab these ones off Amazon for less than $10!! 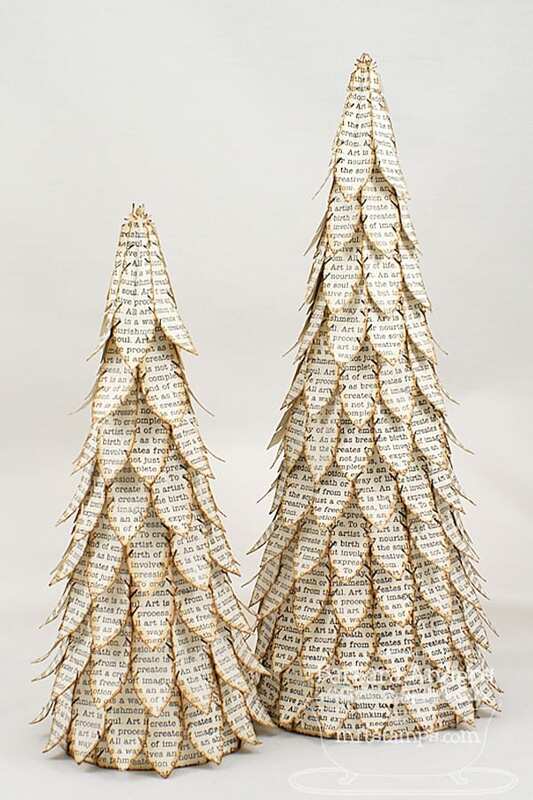 Who would have guessed that paper feathers would make such amazing tree dressing! 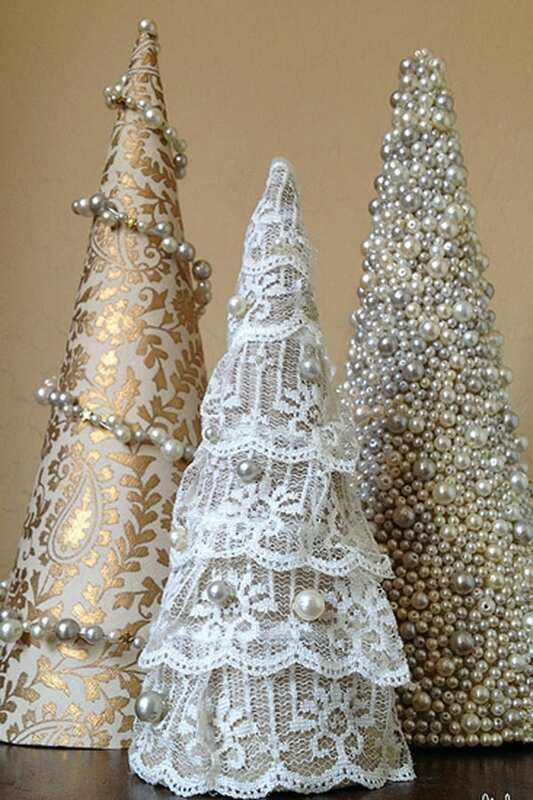 These pearl and lace wrapped trees add just the right amount of elegance to your decorations. 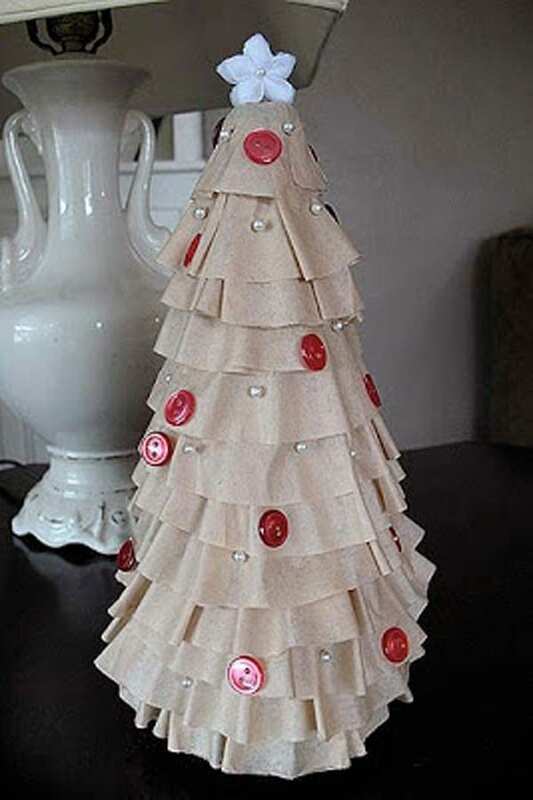 Grab the left over filters from your morning coffee, head over to your sewing room, and you’ll have everything you need to make these simple trees! I love the strong, bright colors and clean styling of these trees! 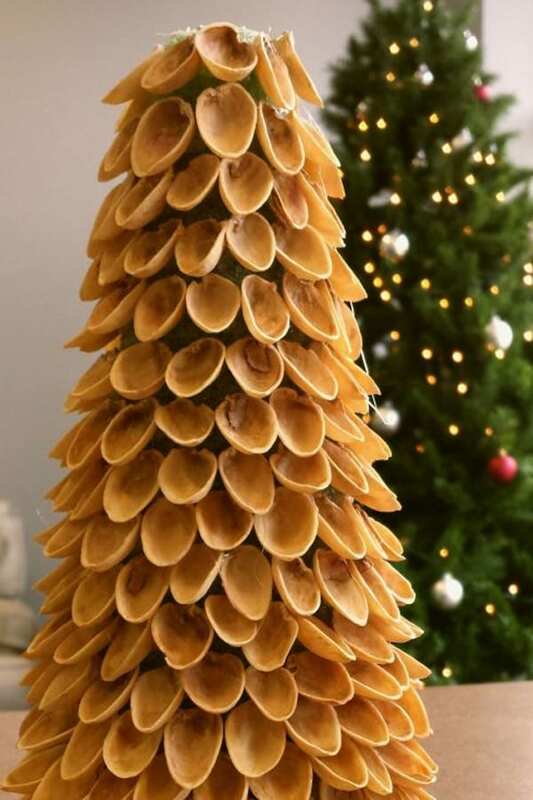 Now there is finally something to do with all of your leftover pistachio shells! 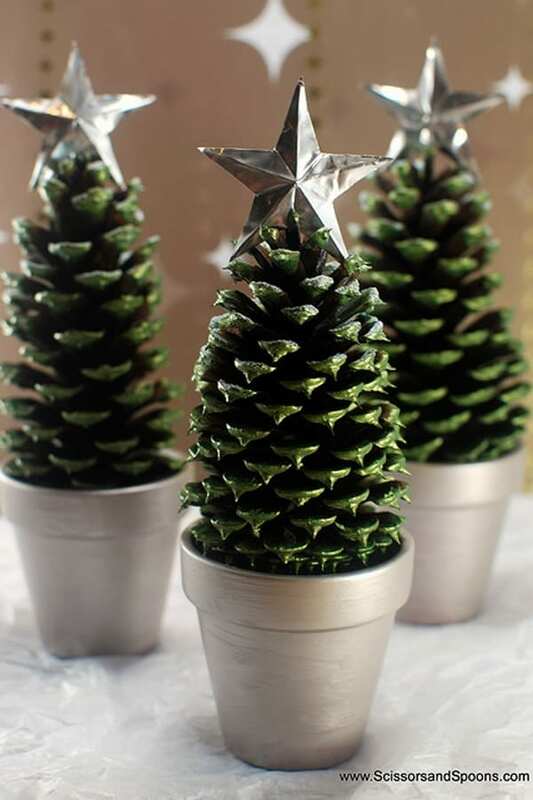 These trees are a great example of how you can make decorations with objects you can find around the house. 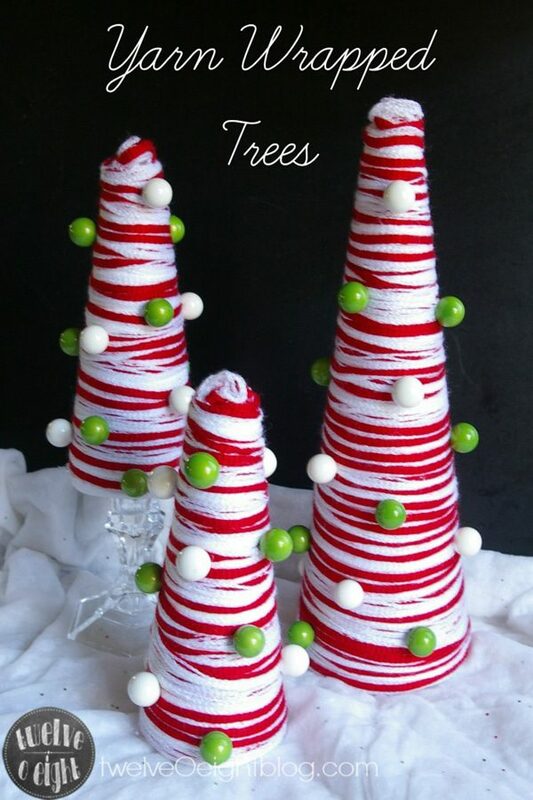 These textured glass trees have a similar look to the bubble wrap trees if you don’t have time to make some before the holiday guests arrive. 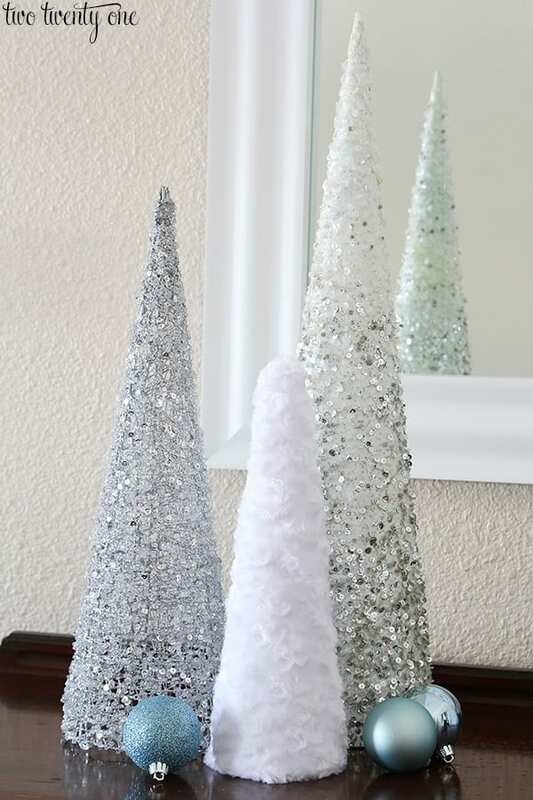 Do you love these DIY mini Christmas trees? I’d love for you to share it with your friends using the sharing links below!